INDIANAPOLIS – Behind a podium and in front of dozens of city officials from around Indiana, Purdue University Professor Jeff Dukes spoke about the dire environmental conditions Hoosiers are facing now and will face in the near future. He cited research indicating the new normal in Indiana, which will feature more extreme heat, more flooding and less fruitful harvests. Climate change, he said, is spurring the changes. 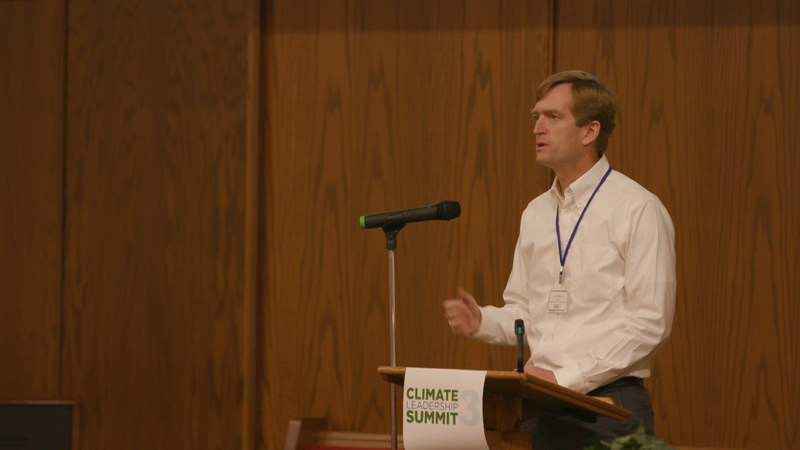 Purdue Climate Change Research Center Director Jeff Dukes speaks at the Climate Leadership Summit in Indianapolis. Dukes spoke to the audience as part of the Climate Leadership Summit, an annual statewide conference where city leaders across from across the state meet and discuss how to deal on a practical level with the results of a changing climate. The summit was organized by Earth Charter Indiana, an environmental advocacy group. Jim Poyser, executive director of Earth Charter Indiana, says the summit is necessary to confront the changes people are experiencing every day. Earth Charter Indiana Executive Director Jim Poyser opens the 2018 Climate Leadership Summit. City leaders and representatives and concerned citizens from around the state listened to presentations from organizations and other city leaders who decided to tackle the effects of climate change. Therese Dorau, director of sustainability for the City of South Bend, said the politics of “the C words” have made dealing with its repercussions a difficult topic to broach. She says she has adopted new ways of speaking about climate change to help communicate what needs to be done. Dorau and other city officials discussed how to make public policy and infrastructure changes that will help their constituents deal with the present and coming changes. Public policy and advocacy groups like Indiana University’s Environmental Resilience Institute, the Purdue Climate Change Research Center and Keep Indianapolis Beautiful Inc. provided tools and resources to train cities to keep up with the new challenges. 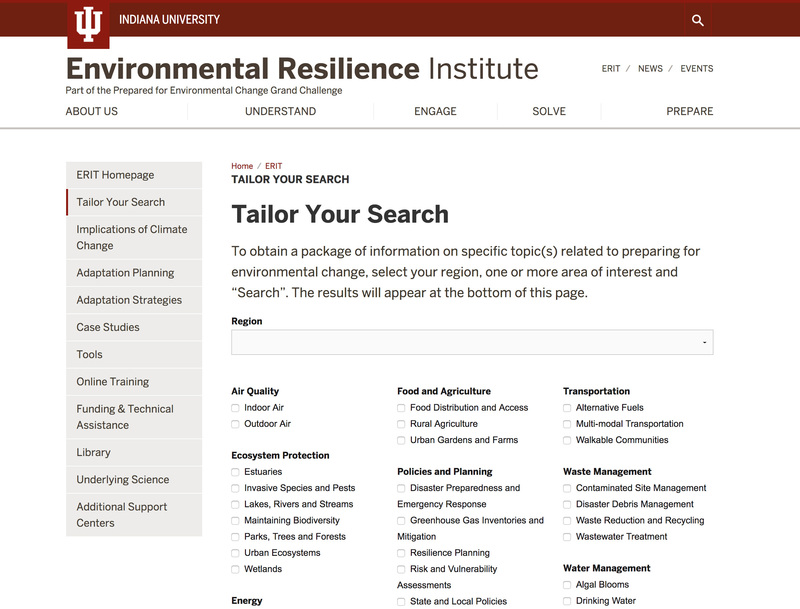 One of the resources unveiled at the summit was the Environmental Resilience Institute Toolkit, or ERIT, an interactive database that helps local governments stay informed about the effects of climate change, adaptation strategies, case studies and funding opportunities. Janet McCabe, the ERI’s assistant director of policy and implementation, says ERIT is especially useful because of its focus on problems specific to Indiana. The Environmental Resilience Institute Toolkit allows municipal leaders to stay informed about climate change and share adaptation strategies with other leaders. The Purdue Climate Change Research Center has released several reports that detail how climate change has modified several aspects of life in Indiana. The center studied how climate change will affect the weather, health, agriculture and several other topics. More studies will be released later this year and in early 2019. Batesville High School junior Ciera Belter, 16, came to the summit to learn how she and other students can begin to make a difference in the world they will inherit. She says she’s disappointed in the people who ignore the warning signs of climate change. Belter hopes that current leaders learn how to adapt to the changes while working to fix what caused climate change in the first place. She says if the generation in charge now doesn’t step up to the challenge, her generation will be ready to take charge. The Climate Leadership Summit also introduced city leaders to software used to complete greenhouse gas inventories in their cities, a canopy map to track urban green areas and a model website for cities planning to bring together municipal agencies for a sustainable future. 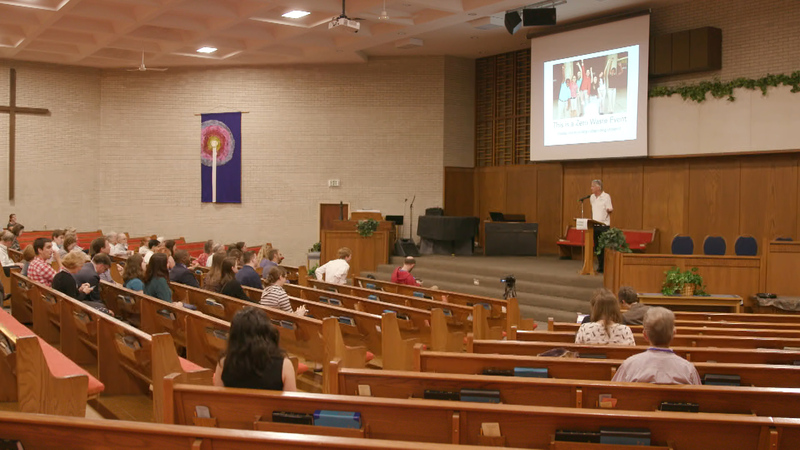 The summit has also posted presentations online. An Indianapolis-based environmental advocacy group called Earth Charter Indiana held the Climate Leadership Summit for city leaders from all around the state. Municipal leaders were exposed to new strategies for dealing with the visible effects of climate change, including tracking changes, information about preventative construction and more.